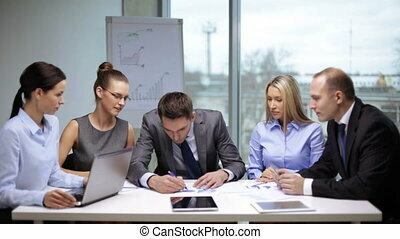 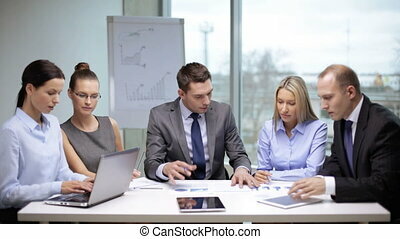 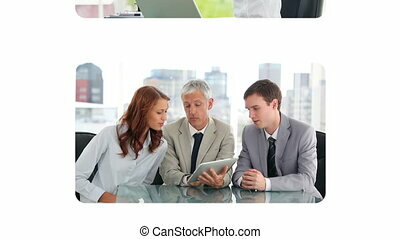 Group of business people using laptop and tablet computer during a meeting. 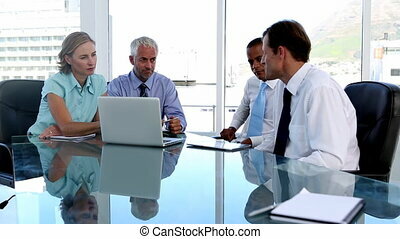 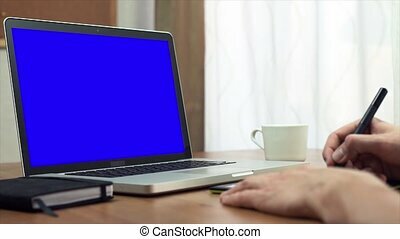 Team of three workers looking at laptop screen. 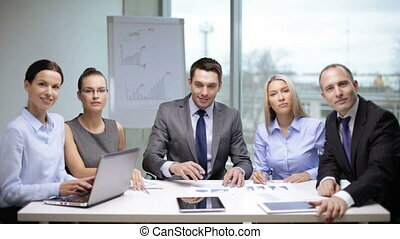 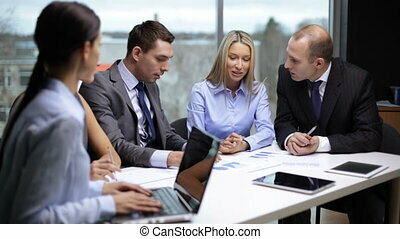 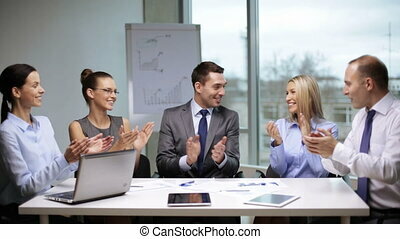 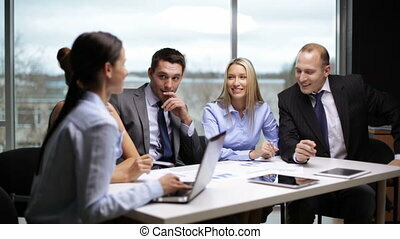 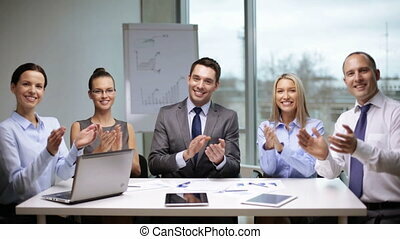 Young happy group of people at business meeting. 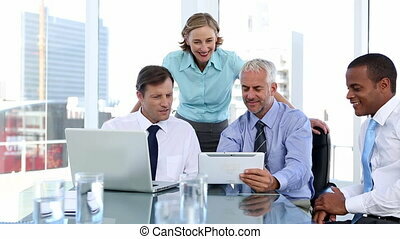 Man and woman smiling, using gadgets, laptop and digital tablet. 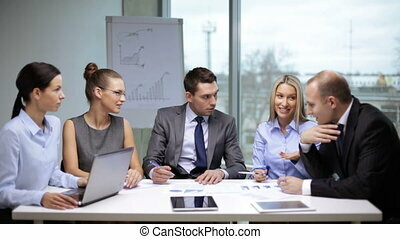 Morning meeting planning at work in trendy office.